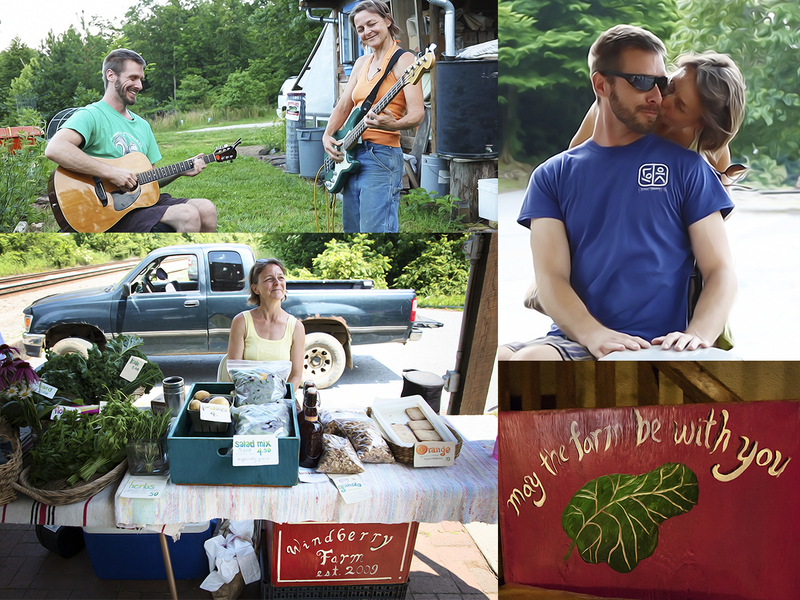 Windberry Farm sits on a rocky slope, tucked in the Ozark Mountains in Winslow, Arkansas. It’s up the hill from the Train Depot Pavilion, where the Winslow Farmers Market is held every Saturday. The Coffee Klatch is just across the street in the old mercantile building, where many of Winslow’s 399 residents gather on Saturday mornings to enjoy a bottomless cup of coffee and conversation. “It definitely allows you to slow down, take your time, and pay attention to what’s around you, as opposed to an urban lifestyle where it’s always kind of on the move,” said Dan Dean, who moved to Winslow only a few years ago from Fayetteville. “It’s definitely still on the move here, but in a different way. There’s chores to be done, harvesting, processing the food, and stuff like that. In a way it allows you more mental space to pay attention,” he said. Dan and his wife Laura Kelly bought the land for Windberry Farm in 2009. 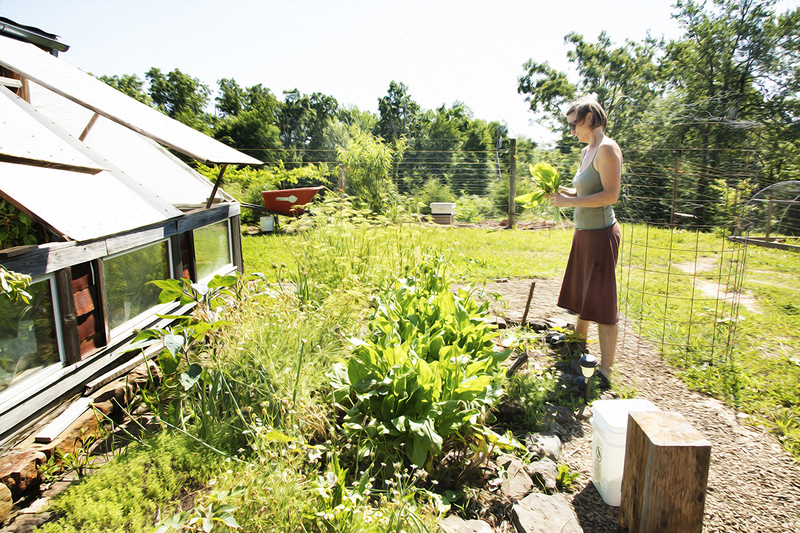 They built a few structures, including a greenhouse and a canning shed, to get them started. Trained as architects, they both wanted to make sure they got their dream home right. They moved into the canning shed for one of the coldest Arkansas winters on record while they built their house. “It’s really the fulfillment of our dreams,” Dan said of the farm the two built together. Dan wanted peace and quiet; Laura wanted a small farm with animals and fruit trees. After saving their money for 15 years, it seemed everything had fallen into place. They named their quaint farm Windberry. They carefully added structures they needed, including an outdoor kitchen, an outhouse, and a chicken coop. “I’m so happy on the farm; I’m happy never to leave,” said Laura this summer. In February 2015, after years of building their dream together, the possibility of leaving their farm almost became a reality. “He’s not the type of person to get on a roof on a cold, slippery, damp day. He only got up there because I couldn’t; I tried,” she said, remembering back to the morning their lives changed forever. Laura said she asked Dan for help screwing in a strap for the flue on the roof of their house. “I just wasn’t tall enough to get up there. I tried. So he did it,” she said quietly. Dan fell from the roof and injured his lower spinal cord. He was paralyzed from the waist down. After that, life was a whirlwind. Dan was hospitalized, and Laura was trying to take care of him and the farm. When the talk of rehab came up, Laura never imagined they would leave the state. A friend they knew as the local beekeeper, who also happened to work in the rehabilitation field, suggested they look into Craig. After visiting the website and meeting with Craig Clinical Liaison Leigh Ann Metscher, they felt like they needed to come to Colorado. The only problem was their beloved farm. “When I would relay the impossibility of that idea [of leaving the farm], people would say no, we’ll take care of it. The community stepped up and said you’ve got to do what’s best,” Laura said. 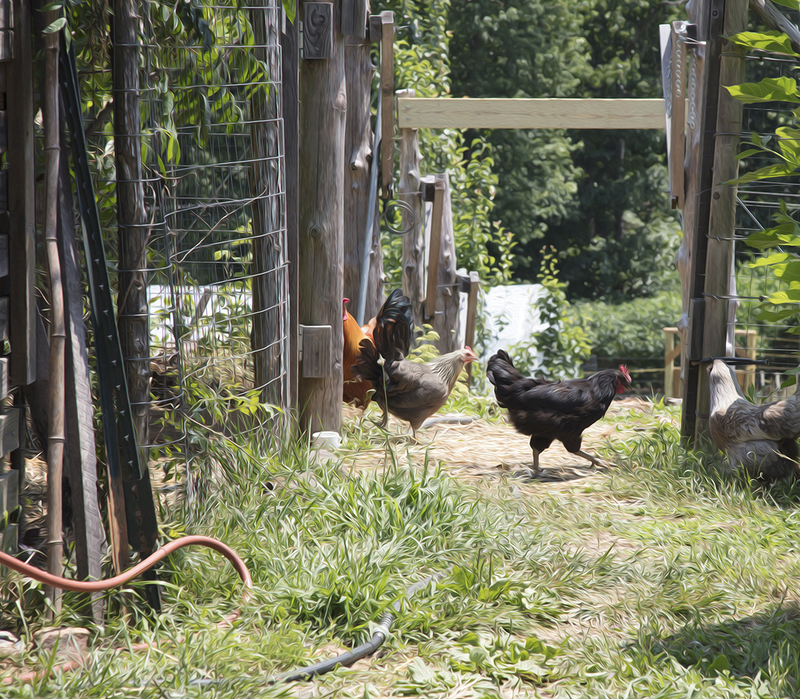 While Dan and Laura headed to Craig for rehab, neighbors and friends organized care hours to care for the produce, chickens, a rooster, and the cat. He said they talked about whether or not returning home was even feasible. “We did think we might have to sell this place. We might have to move back to the city where there are amenities that we don't have around here. But we didn’t have to talk about it very long before we decided that was not what we wanted to do. We wanted to stay here and continue to live our dream,” said Dan. 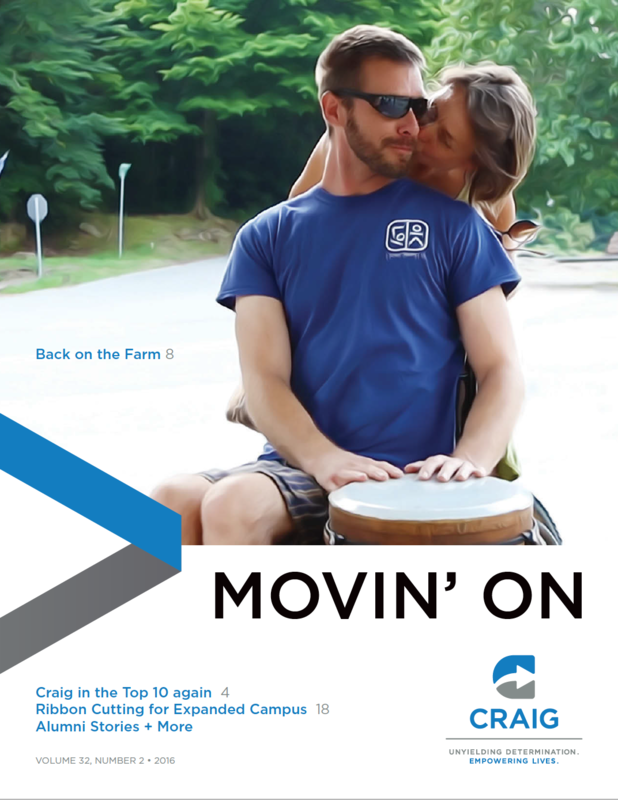 While at Craig, Dan and Laura focused on what they would need to do and learn to return home. 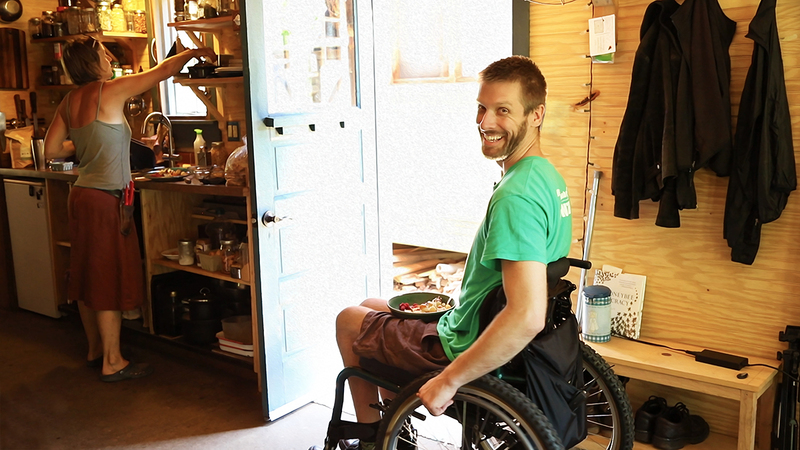 “After the injury I wasn’t sure how much I would still be able to contribute to the farm,” said Dan. He would be returning to the farm in a wheelchair. He worried about the rocky terrain, the pathways, daily tasks, and even access to their bedroom. 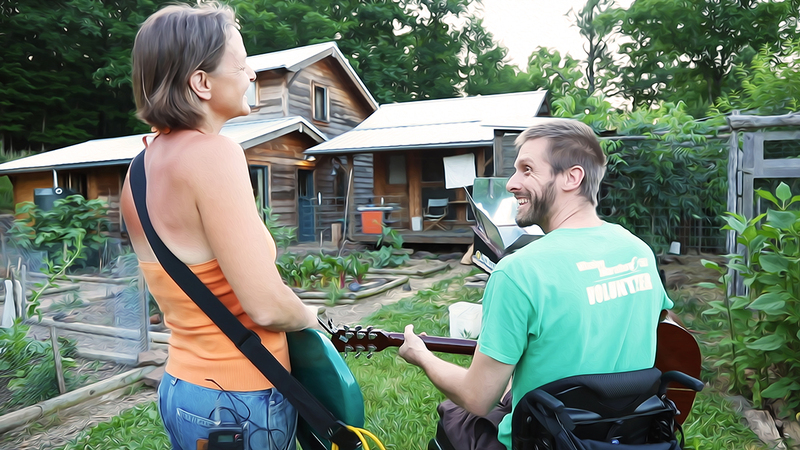 While Dan and Laura prepared for their new life at home, friends and neighbors were already working on making the farm more accessible. They built a brick path for a wheelchair, with a ramp to the house. Upon returning home to Winslow, Dan faced new obstacles. He was no longer able to do farm chores he had done before, like scythe the field or harvest raspberries. But even with the challenge of thinking about what was, Dan and Laura have continued to adapt. 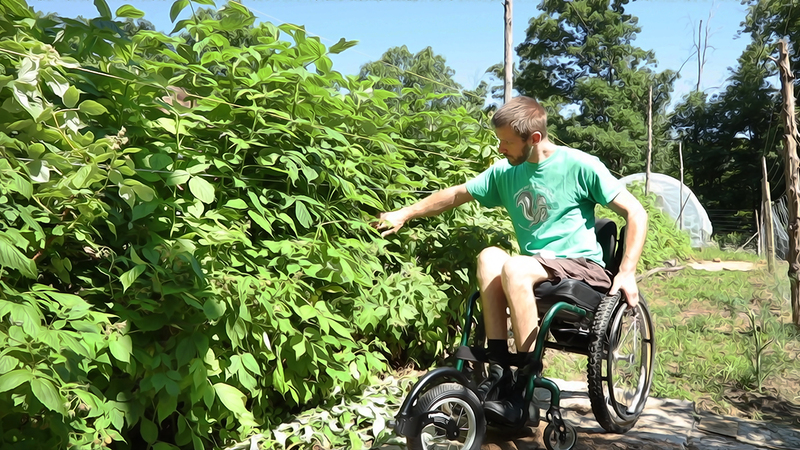 With the help of a riding mower and a free wheel attachment, Dan was able to regain more mobility and contribute to the workload once again. “Every time he does something new without the full use of his legs, he’s so good at letting it run through. Without that habit of dismissing negative thoughts, there’s no potential, you can’t live. He does it really well. He’s not bitter,” Laura said. The couple also added a first-floor bedroom and traditional bath so Dan wouldn’t have to climb the stairs. “I can imagine it differently, but I wouldn’t want it to be different,” said Dan.